Nestled inside this luxury hamper, you’ll discovered organic crystallised ginger, candied orange, coffee beans and cocoa beans coated in the finest craft chocolate. 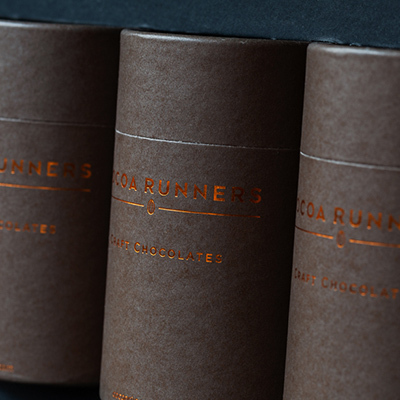 Commissioned by Cocoa Runners, and hand crafted by artisan chocolate makers Jordis, Nadalina and Chocolat Madagascar, the Craft Chocolate Collection just goes to show that combining the finest ingredients can deliver a truly exceptional experience. 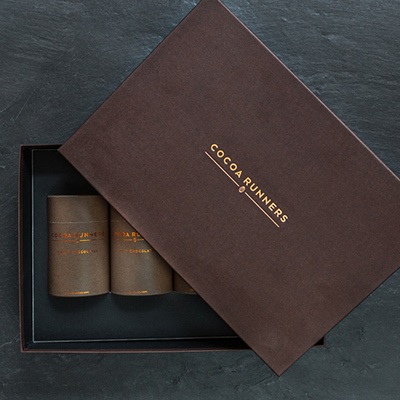 Each piece is enrobed in a generous coating of top quality craft chocolate by hand. This coffee beans and ginger are coated in a blend of the finest Madagascan and Colombian cacao. The Madagascan cocoa beans are coated in Madgascan cocoa and the candied orange is coated in Dominican cocoa. Each piece is coated in a chocolate shell that cracks to reveal the flavour beneath. 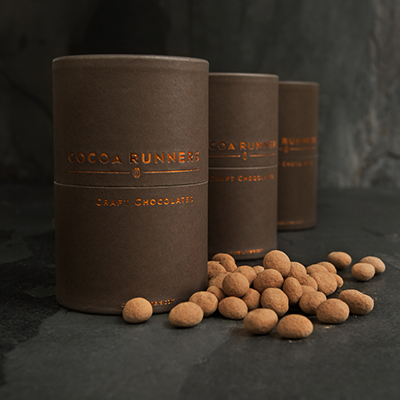 This indulgent collection contains one drum each of the Craft Chocolate coated Ginger, Candied Orange, Coffee Beans and Cocoa Beans in an embossed presentation case.